it offers two gifts in one. Watch it as it rocks and rolls around on its rounded base. Luckily the glass will wobble  but it wont fall over! And, for times when it needs to stay still, there is a base to sit it in, which also doubles as a tea light holder! It would make a perfect gift for a family member or friend, to mark a special occasion or an ideal corporate gift of giveaway. 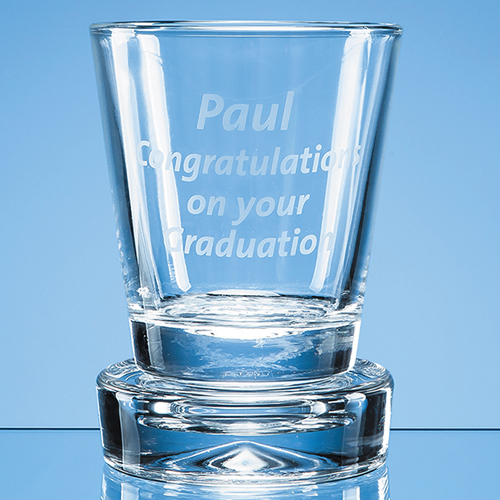 There is plenty of space on the glass to engrave an inscription, message, logo or crest plus, it can be made even more special if it is packaged in one of our beautiful presentation boxes, please ask about them when ordering.